Nose: Fabulous, complex and engaging. Malted grain with hay, citrus and digestive biscuits. Textbook. Palate: Very smooth, despite the high ABV, and enjoyable to drink on its own. Dark rye, anise and mint sauce that complement the malt flavours. A little honey, combined with marmalade citrus. Finish: Marbled rye with toasted dark sugar and a flicker of earthy bitterness. Comments: A fine example of a genever: nuanced and a joy to drink. Best enjoyed simply on the rocks. Nose: Clean, fresh, malty notes mixed with freshly cut hay and wild flowers. Palate: The high alcohol strength is very evident but the complexity of the botanical flavours filters through equally strongly with a warm and comforting mix of breakfast cereals, nuts and seeds, and a touch of anise. Finish: The grainy flavours linger and linger. Comments: Ideal as a cocktail base but also try mixing with soda, perhaps with a dash of bitters, or ginger ale. 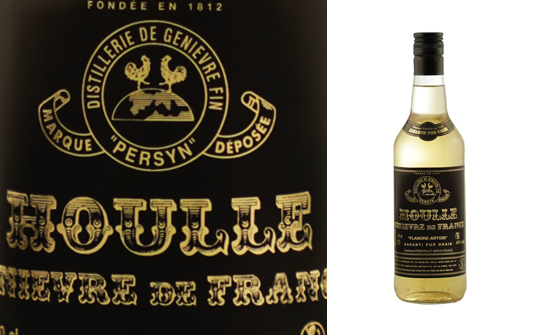 This is a black label (Carte Noire), not a white label (Carte Blanche) ! But i won’t blame Gin Magazine as my English is not so good !